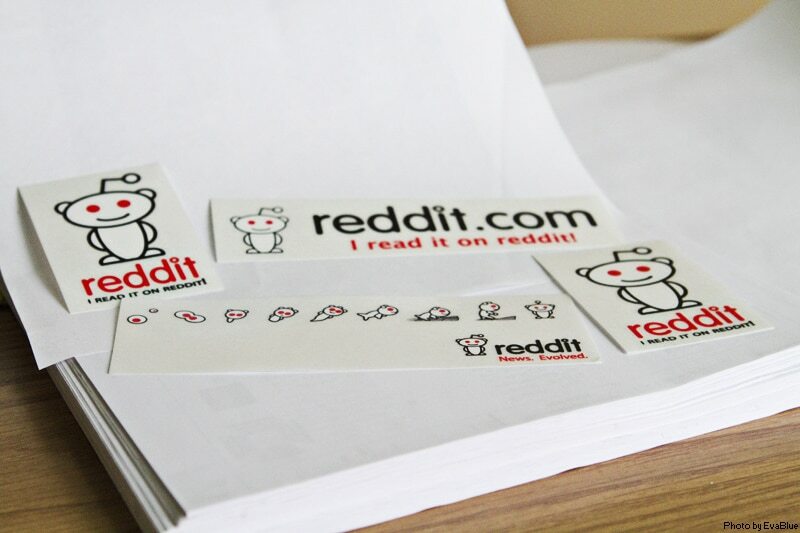 What is Reddit, and How Can it be Used for SEO and Marketing? If you browse the Internet enough, you’re sure to come across the website Reddit. But what is Reddit, exactly? What can you learn from it? Is it useful for SEO? How can it help drive traffic to your website? How can it be used for online marketing? Virtual Market Advantage will attempt to answer all of these questions below! Like many other social media sites, Reddit’s content is provided by its users. One person creates a post, which can be text only or include photos, videos, and links, and other people upvote or downvote the content, depending on how much they like it. The highest rated content is pushed up to the front pages, while the downvoted content will be seen by very few people. This content only lasts on the front page for a short amount of time, however, allowing the site to rotate through new content constantly. Other users can further comment on a post, and those comments are also upvoted and downvoted towards the top or bottom of the list contained within the post. Reddit is a website that is well known to Internet marketers. The site calls itself “The Front Page of the Internet.” It’s a mix of news, interesting links, social commentary, and just downright nerdiness. Sounds like a great place to promote a website, right? The site drives headlines, traffic, and new ideas further and much more quickly than any other social network out there right now. This site can have massive promotion, reach, and influence if used right by Internet marketers. Marketers can use Reddit to find a large selection of resources to develop new content marketing strategies. This sets it apart from other social networks, since it allows marketers to more easily find a constant stream of fresh and new content and conversations surrounding it. Using Reddit, you will find resources to launch your marketing with new ideas. Marketers on this site can also use subreddits in their updates and research. This is an easy way to get more content marketing ideas from additional audiences and also get traffic for the official website. A subreddit is a way to further organize posts on the main site. For example, the subreddit r/aww is a place to peruse pics and videos of cats, dogs, and other adorable animals. As with the main site, the recent posts that are most upvoted rise to the top of the list of the subreddit. Because of how the voting system works, Reddit pushes hot new content to the forefront, making research for marketers even easier. The main challenge for you, the marketer, is finding the subreddits that are relevant to your website and audience. The best way for you to seek out information is to do a search related to what you are marketing for and then follow all the related subreddit links. This tool also allows you to find the most popular subreddits, then follow the sidebar link to related, more specific subreddits. This will get the information flowing directly to you! You can even try to create a subreddit yourself for a niche topic, but unless it draws in and becomes visible to many other people, you won’t get much of a response. If you take the time to combine these methods, you will find good, relevant subreddits to help you research content and beef up your marketing campaign! One of the hardest but most necessary parts of SEO is choosing the right keywords. It’s crucial to make sure that the language you use on your website matches the language your audience actually uses while searching for your products in the search engines such as Google. This concept is at the core of search engine optimization. While the specialized research tools that are out there are great, they can sometimes blindly lead you into keywords that sound good but lack reach, because your audience does not actually search for terms like those. To use Reddit for keyword searches, you must first figure out the best subreddits to use. These subreddits will allow you to watch your audience interact and talk about related products and problems in normal way, through both the posts themselves and the underlying comments. This will take some research on your end, but taking the time to go through and read subreddit threads can give you a goldmine of relevant keywords that simply don’t pop up anywhere else. If you join Reddit to simply use it for self-promotion, the community will notice and react negatively. Join some subreddits that you want to be involved in as well as subreddits that can help you promote and grow your business. Be active in discussions as a member, not just a marketer. Being an active member of Reddit allows you to study your market for free. There are always tons of conversations going on, and there are always questions that need answered. If you know an answer or have blog post that can answer the question, join the conversation. The more active and trusted you are in the Reddit community, the more likely you are to gain success in your SEO and marketing down the road with this platform. Reddit is a wonderful website that is full of untapped resources. Most marketers who use Reddit do so with a focus on promotional potential and without putting in time or effort to do it well. Do not ignore the full research potential of using Reddit for your SEO and content marketing. Remember that Reddit will act more favorably towards you if you participate with honesty and enthusiasm. Become an active member as you do your research and before you start in on your promotion. Blend in with other members by posting interesting and relevant content. All the while, use the ongoing conversations to help you develop new ideas, keywords, and other content for your SEO campaign. Properly using Reddit will help you as an Internet marketer if you go about it correctly! If you want more information on SEO, coding, website development, and recent Internet news, check out Virtual Market Advantage’s other blogs, such as this one that goes over the problem of fake news and how it’s not a new issue.